Long-time readers of this blog will know that I’m a Talisker fanboy. 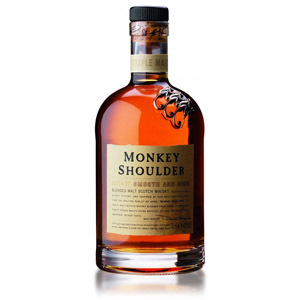 It was one of my earliest favorite malts, and remains a special treat to this day… at least when I’m in the mood for a whisky that evokes harsh maritime coastlines and hardscrabble working folk with calloused hands and… *cough* see what I mean? Talisker just makes me go all poetic. A reader who is apparently more of a Talisker fanboy than I am ordered a bottle of the very-limited, very sold-out, and very not-available-in-the-USA 2018 Special Release bottling from a specialty retailer in the UK. I’m going to take a moment to complain, once more, that Master of Malt no longer ships to the US after being taken over by AB InBev. 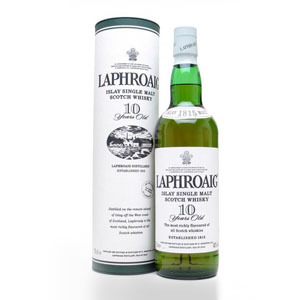 My new go-to for overseas shipping, The Whisky Exchange or TWE, was sold out. 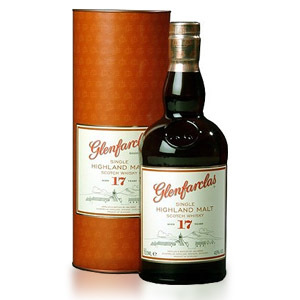 Luckily, said reader-slash-fanboy found a bottle at The Whisky World in London and had it shipped to his home in a state that normally doesn’t allow such a thing. Here’s a glass to fearless whisky retailers, clueless customs agents, and loyal readers who feel like sending me free whisky. Sláinte! 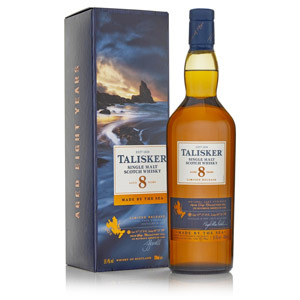 Talisker 8 is a very limited edition cask-strength (59.4% ABV) batch of the familiar Talisker 10 except at 8 years, which is a bit of a reference to earlier 1980s bottlings of Talisker that were released at that age (although not at that strength). 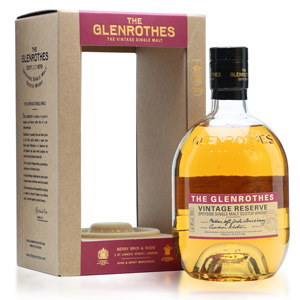 The whisky was aged in first-fill ex-bourbon American oak barrels that were “deep charred”, whatever that means. (All American oak barrels are charred, most of them pretty deeply.) That’s pretty much all there is to it: A storied distillery grabs a few exceptional barrels shy of their OB release date and dumps them into a marriage vat without adding any water and boom. Worldwide craze. Anyone remember Tickle-Me-Elmo? Yeah, like that. It’s also got a strikingly pretty label and box. So, there’s that. Alas, I do not have a sample of the 10 year to compare against. Nose: Oddly shy, despite a rest in the glass. Classic, unabashed Talisker: black pepper, seaweed, salty sea spray, and thin smoke. The nose tickle is mild, despite being nearly 120 proof. Palate: Medium body. Initially sweet and bready, and overlain with those same salty, peppery maritime notes from the aroma. Tongue burn is robust, as expected. As the reader who sent me this commented: “If you want to know how big a man you are, drink cask-strength Talisker.” Cue the poetry. Vikings and stuff. Eventually I’m able to regain my composure and I can taste pepper jelly, barbecue char, hay, and tobacco. Finish: Long. Dry, with more of that pepper-and-salt combination. The peat smoke is present, but not in the foreground. Fades pretty much as it started, and without bitterness. With Water: Several drops of water releases a deluge of meaty notes. Uncured bacon, smoked pork shoulder, my favorite salt-and-pepper brisket rub, etc. The tongue burn is just as epic, but there are now additional flavors: green chili, nori, and smoked salmon. Definitely try this with water, it’s a different – and complementary – experience. Overall: I’m not really sure what to say. This is exactly what I’d expect Talisker 10 to taste like if you just removed the water. It burns like Hellfire, but retains 100% of its identity. If I had to nitpick, I’d say it doesn’t bring anything new to the party unless you add a little water, and then that effect is fleeting. I agree with another comment from our generous reader, though, that Talisker 8 at 46% would probably satisfy about the same as Talisker 10 does, if this bottling is any guide. Just don’t tell Diageo that. The fact that we have to fight over limited-edition scraps to get a shot at our favorite whiskies at cask strength, though, is one reason I’m not a big fan of our corporate overlords I mean Diageo. I’m going to call this “Must Try” because if you like Talisker and see a bottle for sale somewhere against all odds, you probably ought to own it. Just don’t pay auction prices. Above $100 is pretty steep, even for this… just get some Corryvreckan. My mouth used to water at the thought of the 40 year-old Talisker which was released not long ago. Then I watched a video where Colin Dunn of Diageo reviewed the 40 year-old, and I went back and tasted the bottle of Talisker 18 I paid a fortune for earlier this year. And I have to say that I agree with a comment that Dunn made in the video: Talisker is best enjoyed young. Not TOO young (ahem, Talisker Storm), but young. Too much time in the wood removes a lot of the punch from this amazing whisky, and this is likely true of most peated malts. I have nothing to say about the whisky you just reviewed since I’m sure I’ll never get to taste. For the record I enjoyed the review. Instead, I’d like to recommend two whiskies to you that I think you would enjoy. The first one is Lagavulin 8, which is now an official bottling and is half the price (I paid $48 in Long Island) of what it was when it was a limited edition. The second is Springbank’s annual 12 yr old cask strength release (at $88 a splurge purchase for me). It tastes like an extremely intense version of the 10 yr. I thoroughly enjoyed both of them and would love to see your take on them in the future. Where on LI are you? I’ve been thinking about getting a Whiskey Club together for a while – any interest?